Aug. 9, 2009 -- Steven Earl Parent was not a famous person in life. But he became famous because of the tragic and horrible circumstances of his death. Parent was the first victim -- and probably the least known -- of what has become known as the Manson family. In the summer of 1969, Parent had just graduated from Arroyo High School in El Monte, Calif., with plans to attend Citrus Junior College in Azusa in September. During the summer, he worked as both a delivery boy for Valley City Plumbing Company in Rosemead, and a salesman for Jonas Miller Stereo on Wilshire Boulevard in Los Angeles. Parent loved electronics, and was fascinated by taking radios apart to see how they worked, and putting them back together. During the summer, Parent met William Garretson, who was the caretaker at a house at 10050 Cielo Drive in Benedict Canyon, which, at the time, was being rented by director Roman Polanski, and his wife, actress Sharon Tate. On the night of Aug. 8, 1969, Parent drove to the Cielo Drive house, hoping to sell a clock radio to Garretson, who was living in a guesthouse on the property. Garretson decided not to buy it, and Parent left the guesthouse shortly after midnight. While Parent was driving to the gates of the property, four members of the Manson "family" were cutting the phone lines and entering the property near the same gates. Parent drove his father's 1966 white AMC Rambler from the guesthouse, and stopped to push the button that opened the electronic gate. As Parent rolled down his window, Manson follower Charles "Tex" Watson pointed a .22-caliber handgun at him and ordered him to stop. "Please don't hurt me," Parent said. "I won't say anything." As Parent raised his arm to protect himself, Watson fired four times, hitting Parent in the face and chest. Parent died at the scene. He was 18 years old. Three of the Manson followers -- Watson, Susan Atkins and Patricia Krenwinkel -- then went inside the house on Cielo Drive and brutally killed Sharon Tate and her unborn son, Jay Sebring, Abigail Folger and Wojciech Frykowski. A fourth follower, Linda Kasabian, stayed outside. Garretson was not injured, and he apparently heard nothing from the guesthouse. 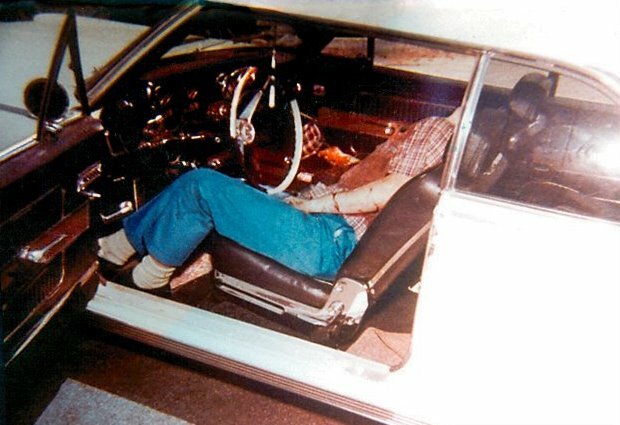 When police arrived at the crime scene, they found Parent's body where he had been shot, slumped over into the passenger seat of the Rambler, covered in blood. Funeral services for Steven Parent were held on Aug. 13, 1969, at the Church of the Nativity in El Monte. He was buried at Queen of Heaven Cemetery in Rowland Heights.